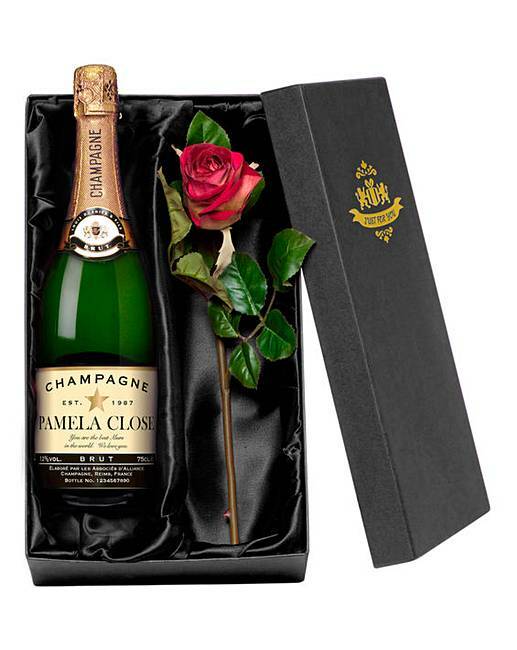 Beautifully presented in a sumptuous silk-lined gift box this bottle of bubbles is accompanied by a delicate silke rose. The bottle itself is not only filled with delicious bubbles for crisp champagne, but it has a label that is personalised by you. The name of the recipient takes pride of place across the centre of the bottle, beautifully incorporated into the authentic design. With your message and chosen year also printed, you choose what occasion this gift is for. Personalise with a name up to 20 characters and a message up to 50 characters (including spaces). You must 18 or over to purchase this product. Please note we are able to deliver this item to GB Mainland only.